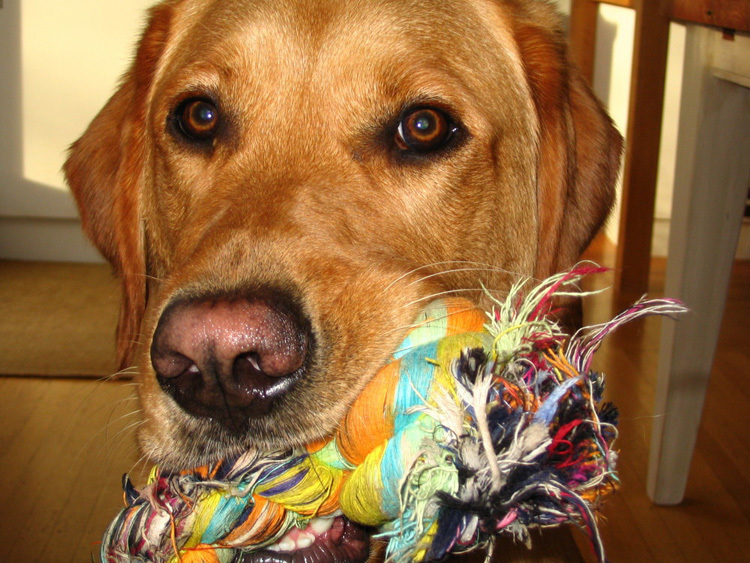 Five enjoyable activities to provide enrichment for your dog (and fun for you). Enrichment means giving your dog opportunities to engage in species-specific behaviours and to use their brain and all the senses. Environmental enrichment means making your dog’s living spaces fun and interesting so your dog does not get bored. There are lots of ways to provide enrichment for your dog. 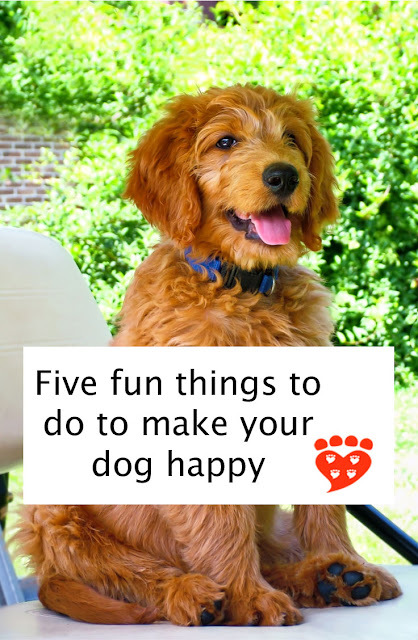 It can involve play with toys, spending time in social activities with people or other dogs, making the environment more interesting, or training activities. 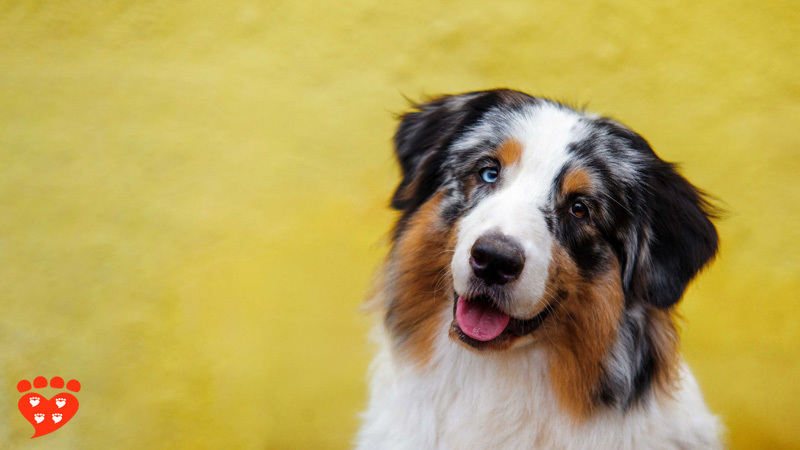 Here are five great ways to provide enrichment for your dog and make your dog happy today. We all know that dogs have amazing noses, but did you know scent is more important to dogs than sight? In fact, as well as their nose, dogs have something called the vomeronasal organ, which detects pheromones (chemical signals). 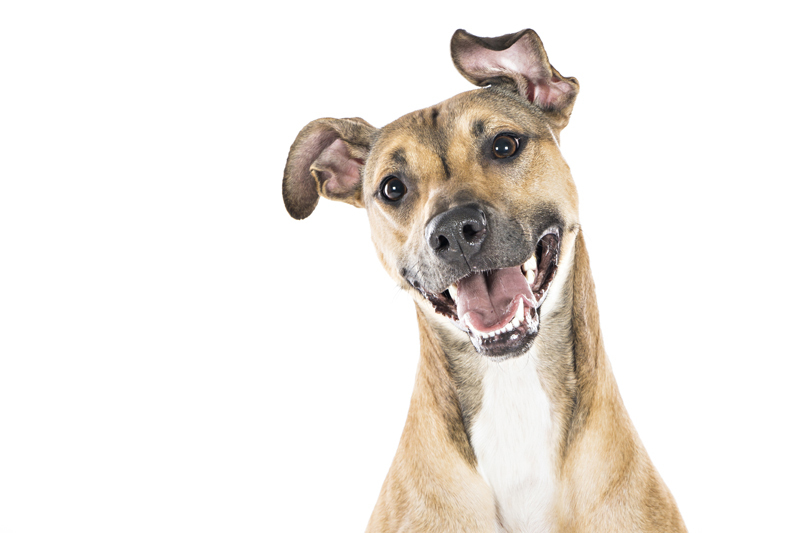 If you see your dog lick something smelly, it could be because this is one way they make molecules available to their vomeronasal organ (the other is the Flehmen response, when they chatter their teeth with what looks like a grimace on their face). 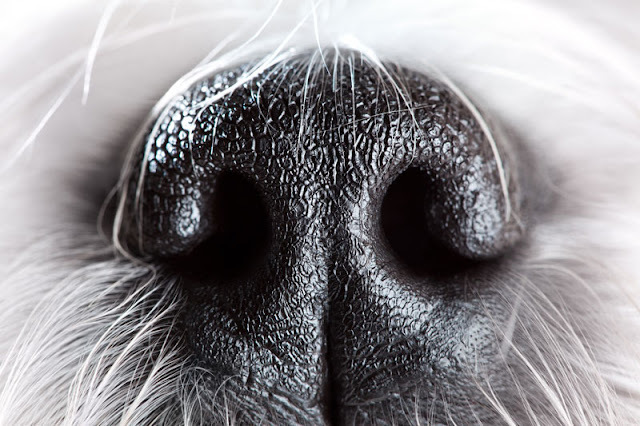 And some breeds of dog have up to a billion olfactory receptor cells at the back of their noses*. 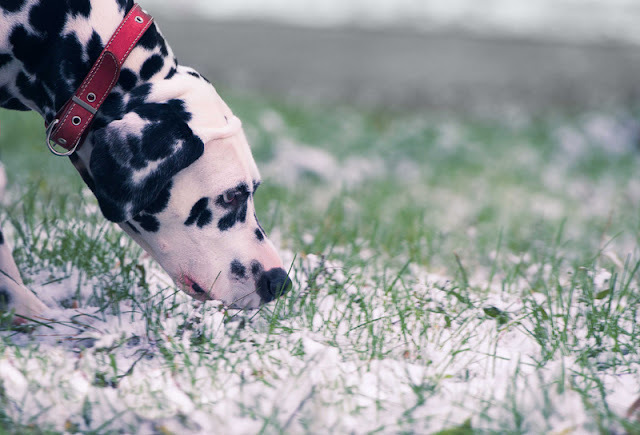 It’s no wonder dogs want to spend so much time sniffing even a single blade of grass! They get a lot of information from sniffing the places where other dogs have peed (or even their own pee… they are dogs, after all!). We can give dogs the chance to use their nose by taking them on a sniffari. Instead of hurrying your dog along on a walk, let them take as long as they like to sniff. And let them follow their nose, instead of taking a predetermined path (within reason, of course). Dr. Alexandra Horowitz, scientist at Barnard College and author of Being a Dog, told me that dogs “sniff first, and ask their eyes to confirm or deny. Their world is made of scents more than sights.” (see: how to make the world better for dogs). So make time to take your dog on a sniffari and turn the walk into enrichment for your dog. Food toys are another great way to provide enrichment for your dog and make your dog happy. And there are all kinds to choose from so there is bound to be something your dog will enjoy. You can use food toys to feed your dog’s meals (or part of them) or to provide treats. If it’s your dog’s first time with a particular food toy, remember to make it nice and easy so they don’t get frustrated. It’s also a good idea to use some really nice treats to get your dog interested in the toy. Over time, you can make the food toys harder. For example, if you’re using a Kong , to begin with don’t stuff it too tight; use treats or kibble that will fall out easily. You can add a bit of peanut butter or cream cheese to make sure your dog enjoys it. As your dog gets more experienced, you can mix ingredients to stuff it with (e.g. mix cream cheese with kibble) and even freeze it before giving it to your dog. One of my favourite dog puzzle toys is the brick treat puzzle toy by Nina Ottosson from Outward Hound. The Nina Ottosson range includes both easier and harder puzzles so you can get the level just right for your dog, and they are easily washable. Other choices are the Kong Wobbler , the Pickle Pocket , and all kinds of balls with holes for the food to fall out of like the IQ Treat Ball . Snuffle mats are another great idea (like the Wooly Snuffle Mat ). And if you don’t have any food toys, you can also DIY your own or simply scatter pieces of food in the grass for your dog to find. Dogs love hanging out with their humans, and they love playing games with their human even more. Play with your dog is good for animal welfare and a good way to strengthen the bond between you and your dog. So pick a game you know your dog loves – whether it’s tug or fetch or chase or whatever – and let them play as much as they wish. Have a dog who never tires of playing fetch? No matter! Today is their day so keep on throwing the ball. And if they love playing tug? Be sure to let them win lots of times. (For some reason some dog trainers used to say you should never let your dog win, but that’s not true – in fact, scientific research has shown dogs who are allowed to win are more involved in the game). 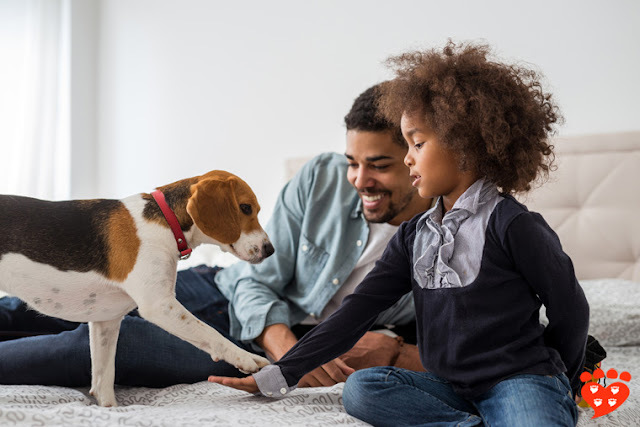 Some common signals that encourage dogs to play with you include the play bow, chasing, running away, a quick bow at the waist, tapping your chest to encourage the dog to jump up, and lunging at the dog (in a playful not scary way, of course!). Using your voice to encourage the dog to play helps too. If you’re playing fetch, some dogs find it hard to give you the ball back so you can throw it again. In this case you need two balls so you always have one to throw. Maybe over time you can teach your dog to drop the ball in your hand, but in the meantime don’t get frustrated – just throw the other ball. Whatever game you pick, just have fun with your dog. A study a few years back found dogs prefer to solve a problem to earn a reward than just to be given the reward. The scientists called it that “Eureka” feeling. Training with positive reinforcement is a great way to give dogs opportunities to problem solve. It may even have long-term benefits too as one study found a history of lifelong positive reinforcement training is linked to smaller declines in attention in older dogs. Pick a level that is right for your dog. Every time they do the right thing, they get a food reward. To be like a pro dog trainer, you should aim for about 10 rewards a minute! It doesn’t matter what you pick to train. 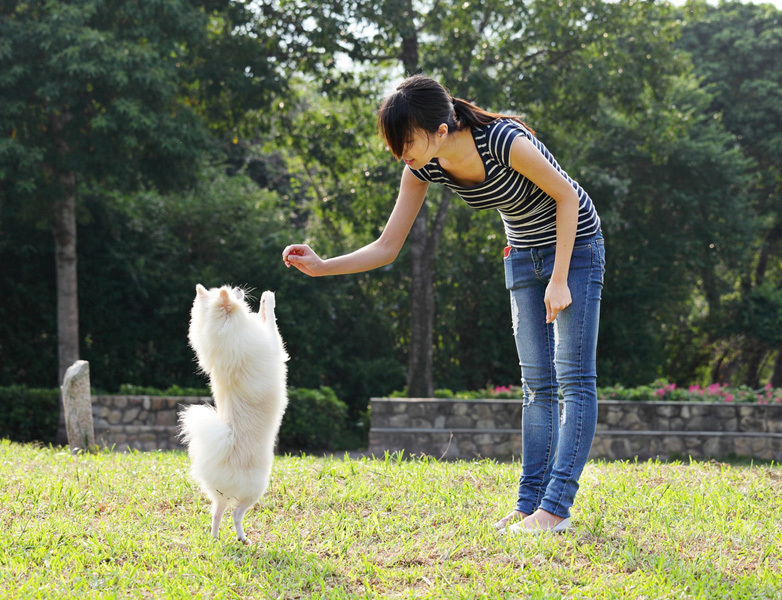 If your dog needs to learn obedience commands, that’s fine. Pick sit or loose leash walking or whatever you want to work on. But if your dog already knows what they need to in order to have good manners, you can work on some tricks. From spin to play dead to jumping through your arms, you’ll never run out of ideas for new things to teach. Not sure what to use as reinforcement? See the best dog training treats. Pick a place your dog likes to go and take them on an outing to make them happy. This counts as enrichment too because it lets the dog experience a different environment. There are lots of ideas for things you could do. A hike in the forest gives your dog a chance to explore and to enjoy the natural environment. Maybe there is a lake or beach where your dog likes to swim. Perhaps your dog loves the dog park, in which case you could take them there. Maybe there is a dog-friendly pub, restaurant or café in your neighbourhood where you could go and hang out with your best canine friend for a while. Some stores allow dogs on leash so your dog could just enjoy wandering round the store with you. Or your dog could just come for a ride-along in the car, or to visit a friend or family member who your dog likes to see. 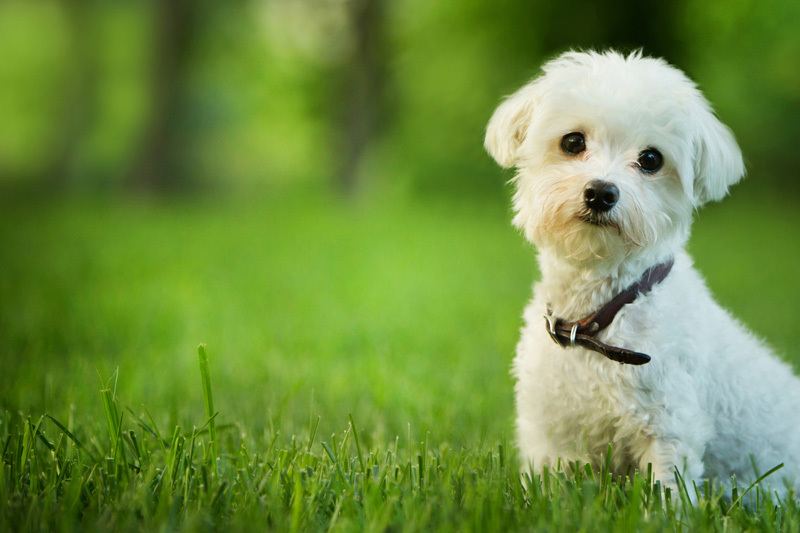 The aim is to find something you know your dog will enjoy, so take your dog’s preferences into account – if they don’t like the dog park, don’t make them go, for example. Does my dog like it? A great question to ask yourself for each of these five ideas is whether your dog is enjoying the enrichment. For example, are they engaging with the food toy, and are they willing to come and train with you or did they wander off and snooze instead? 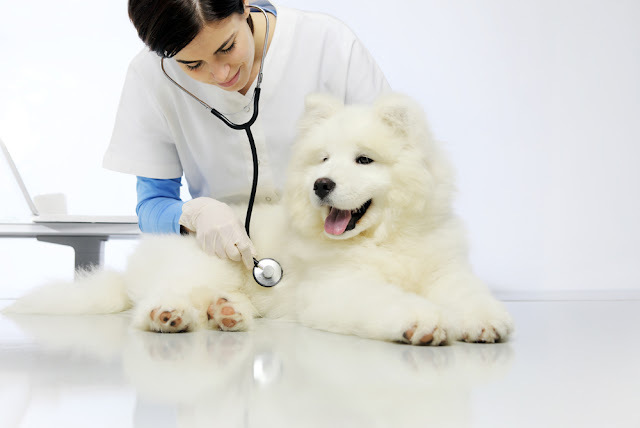 The point of each of these ideas is to give your dog happy, fun experiences. So if they aren’t engaging the way you would like, see if you can tweak something to make it more fun. One common issue is to make food toys or training too hard. Even if you think your dog is a genius, you want to make it easy enough that your dog will enjoy it. If they have to try too hard, they might get bored or frustrated. 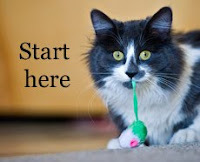 You can gradually make the toys or training harder over time, but start out nice and simple. Another common issue where food is involved is to use kibble as reinforcement in dog training. Maybe you are lucky and have one of those dogs who will work for kibble (they do exist), but for most people, some kind of food upgrade is required, such as little pieces of chicken or peanut butter treats. For more about why we use food in training, see the ultimate dog training tip. One other thing to check is that your dog is actually happy and enjoying the experience. Sometimes we think our dogs ought to like things – like trips to the dog park or swimming – but actually they don’t. Every dog is an individual and it’s up to us to learn what they like and don’t like. If you see signs of fear in your dog figure out what you can do to help, whether it’s comforting your dog or taking them away from the situation (for more ideas, see eight tips to help fearful dogs feel safe). So if your dog hates to go places, maybe you could cuddle on the couch instead. Remember, the whole point of enrichment is that your dog engages with it and enjoys it. So have fun with these five tips. What is your dog's favourite activity? Thank you to everyone who supports Companion Animal Psychology on Ko-fi. It is very much appreciated! Subscribe to Companion Animal Psychology to learn more about how to have happy dogs and happy cats. *If you want to learn more about the dog's nose, I recommend Being a Dog: Following the Dog Into a World of Smell by Alexandra Horowitz. On p48, Horowitz writes, "Dogs have from two hundred million to one billion receptor cells, depending on the breed, compared to the six million in our noses." Great information and reminders! Thank you!